Ride past the grand Norton sign, and down the long driveway of the Norton factory at Donington and you step into their world. A world of design, metal and love for the Norton brand that goes way beyond a badge on the tank of a motorcycle. The factory at Donington Hall is always buzzing. It’s the home of the historic British brand and just walking in brings the Norton name to life. 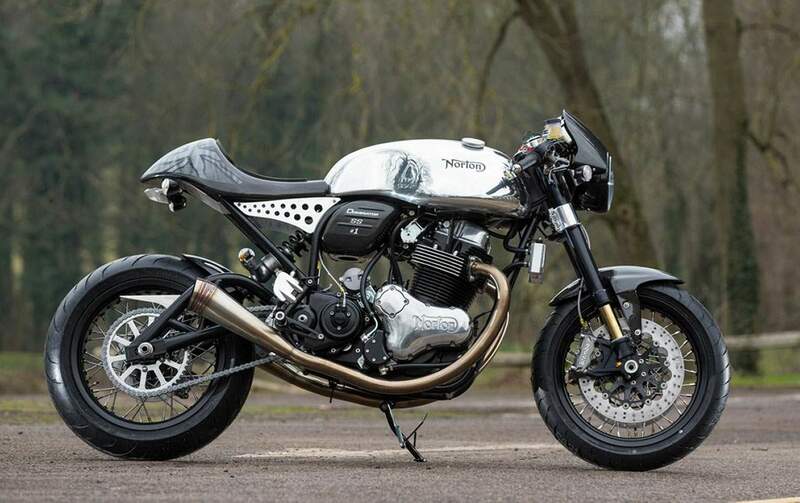 In reception sits a Norton trials bike and a timeline of their history from 1898, to more recent events like in 2008 when new owner Stuart Garner bought the name. From that humble beginning of a reborn brand, Norton is now selling motorcycles to Japan, America and Australia once again. And they’re all built here in the heart of England. The factory’s spares department looks over the work benches where the bikes are assembled. Engineers in black Norton racing shirts pulling together the new bikes before they’re boxed, shipped and sent round the world. Behind a closed door in the corner of the factory is the race department. It’s where all the TT magic happens and where the latest development of the Norton TT bike is being rebuilt ready for a shakedown test at Mallory Park with two-times TT winner Cameron Donald on board. The room is where the Isle of Man TT team spend 12 hour days trying to perfect the V4-powered TT racer and their ambitions of one day winning the prestigious Isle of Man TT race are born. And then, round the corner is the ultra-rare Domiracer. It’s Number 1 of 50 and the exact bike we rode last year, and ran up the hill at the Goodwood Festival of Speed. The Goodwood scrutineering stickers still telling the story of the weekend, where burnouts in front of the main grandstand where the order of the day. But we’re not here to ride this bike today. We’re here to ride Number 1 in the production of the new Norton Dominator SS, the latest bike in a run of 50 for the UK, and a total of 200 SS versions to be built worldwide. It’s a more production-ised version of the Domiracer sold last year. Though the basic silhouette is the same, dig deeper and the level of detail is not quite to the same level as the ornate brackets and finishing on the Domiracer, the spec is a bit lower. But it’s still a stunning motorcycle and £24,000 as it sits in front of me. Domiracers which were bought new for £24,000 (plus £2000 for a road homologation kit) and just one year on are already fetching between £38,000 and £44,000 in the used market. That’s some investment. The lads are attaching to the trade plate to the Dominator, then run it up on the dyno to check everything is in order before parking it outside and chucking me the keys. 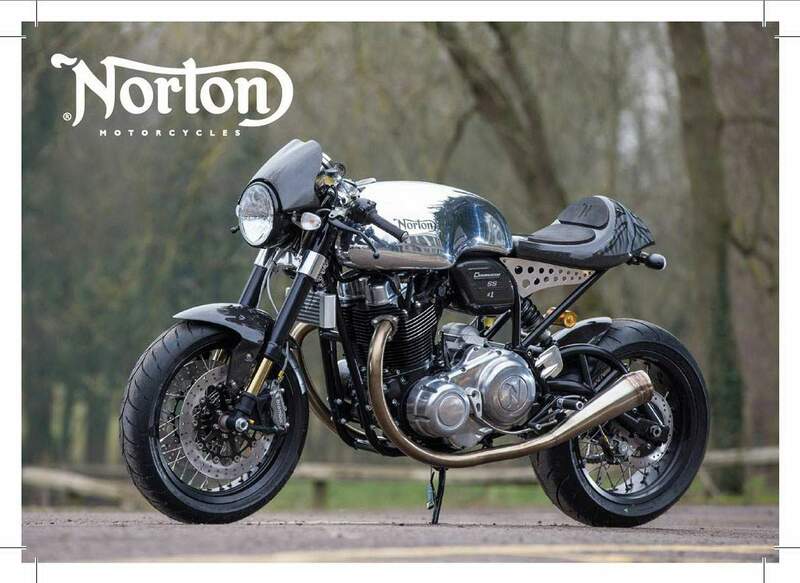 If you were at Motorcycle Live last year then you’ll already know what an uncorked Norton 961cc motor through straight-through handmade pipes sounds like. It’s a noise your hearing will ever forget. Pardon? The Dominator makes the same unforgettable growl. Grown men covered up their dogs’ ears as I passed, children screamed, old ladies took for cover. I was only doing 30mph. Luckily, I learnt my lesson from last time on a Norton and put earplugs in, such is the deep racket of the Dominator on its aftermarket race pipes. But as a wake up call it’s better than a Victoria Secrets model who finds herself in your hotel room, or a jump in an ice cold lake. More sensible pipes are at least available, apparently. They have to be to meet noise limits and the law, but If you want sensible, then don’t buy a limited edition homage to a sixties Café Racer. However, if you want an authentic old school experience but with the reliability of a modern motorcycle then step this way. There’s not a load of power, it only makes a claimed 80bhp after all, but there’s enough to be bowling along at 80mph on a sunny day, and still have plenty left in the tank. It’s crisp on acceleration and pops and bangs on the overrun just like it should. It feels light and agile. Never too quick to steer but you can get it cranked over before the pegs, or those handmade head pipes touch down. As it was a brand new bike, owned by Norton’s CEO, and I’d already left a small dent in the tank of the Domiracer previously when removing an on-board camera, I never pushed it hard. But ride it quickly and the Dominator is rewarding. It’s revving out about 8000rpm, and really there’s little point in going above 6500rpm where power tails off. The modern Ohlins forks feel supple and plush. The rear shock is fully-adjustable and set quite firm. The suspension feels softer than the Domiracer set-up and in many ways is better for it. The Brembo brakes too are high-spec and have a lovely feeling to them. They’re really progressive right until the point the front tyre will squeal if you try. There’s no ABS, and it doesn’t need it. There’s not much weight to pull-up, and plenty of feel. This is pure motorcycling, sixties style but with modern kit and grippy Dunlop tyres too. But as pleasant and defining as the Dominator is to ride, the way it looks is even more special. Park it anywhere and old men tell you about the time they had a Villiers/Triumph/Norton/BSA, and even kids stop and Snapchat it. Whatever that is. The biggest difference between this and the Domiracer to the untrained eye is that the detailing isn’t quite to the same obsessive level, but it’s still a work of art. From the machined top yoke, the black engine, the polished engine covers, the hand-laced spoke wheels, and that petrol tank which mimics original café racers right down to the angle of the fuel cap, the Dominator should be in a museum, or a film even. 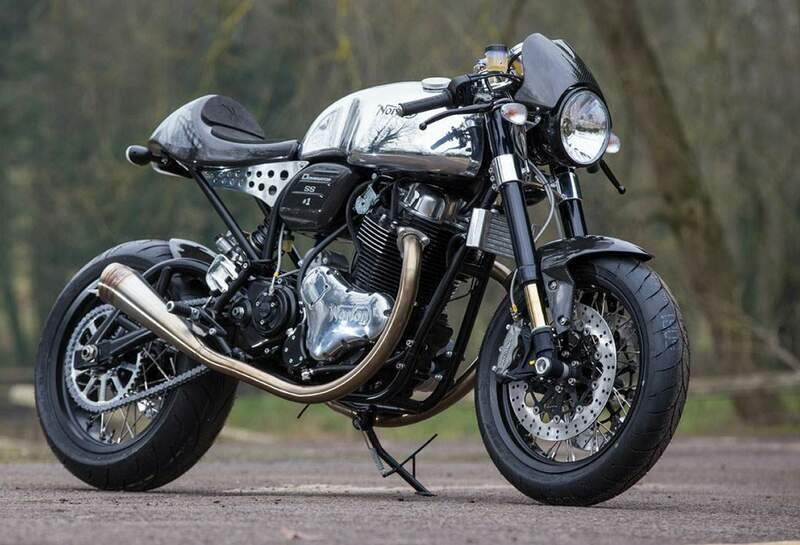 With talk that it may be in the next James Bond film (it appeared in the back of a James Bond Instagram pic), we wouldn’t be surprised, however Norton bosses refused to be pushed on the point. We’ll have to wait and see when Spectre appears later this year. But for now, just sit back and admire that carbon seat unit complete with ripped Union Jack flag painted over the carbon fibre, and the carbon fibre airbox with #1 on the side. It’s a shame that I have to give it back.